Koforidua, April 7, GNA - The Eastern Regional Chairman of the Convention People's Party (CPP), Nana Owusu Sekyere, has asked constituency executives to screen all candidates on their eligibility to contest the party's primaries. Addressing the third Regional Executive Committee meeting at Koforidua on Monday, he gave the assurance that the CPP would unite the nation once more when elected into power in December. He said before independence, the Danquah-Busia tradition had sought to divide the country into federal states but Ghanaians endorsed Dr Kwame Nkrumah's advocacy for a unitary state, which enabled him and the CPP to bring Ghanaians of different ethnic groups together. Nana Owusu Sekyere expressed his concern that "today, ethnicity has reared its ugly head once more," but gave an assurance that the CPP had "the ability and capacity to nib it in the bud." 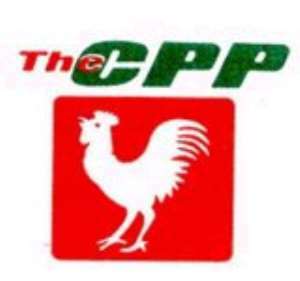 He advised members of the party to conduct their electioneering campaign in a peaceful manner in line with the CPP tradition, "devoid of inflammatory and derogatory words." Nana Owusu Sekyere said Ghanaians had tasted the rule of both the NDC and the NPP and "have realised that the two parties have nothing good to offer." He said it was the detractors of the CPP who kept saying that the party was divided, adding that "no one can remain outside the CPP and continue to call himself an Nkrumaist since the CPP is not divided and all true Nkrumaists are with the CPP."